So many friends confused to delete/disable more than one “DIAL-UP/NETWORK” connections in windows7/windows vista. But its very sample!! Just fallow the bellow steps. · Right-click the connection you want to delete, and then click Delete (OR) if u wants disconnect the connection then you can choose disconnect. But before delete you must disconnect the network connection. · If you chosen delete then In the Confirm Connection Delete dialog box, click OK.
· The connection is removed from the list of available connections that you can view or modify. · In the Tasks pane, click Manage wireless networks. 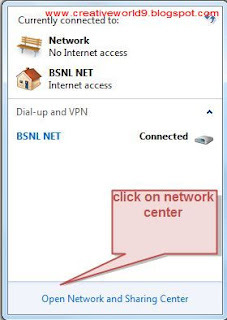 · Right-click the connection you want to delete, and then click Remove network. · In the Manage Wireless Networks - Warning dialog box, click OK.
· The connection is removed from the list of wireless connections that you can view or modify. On the Windows taskbar (bottom, right), right-click the Wireless Network Connection icon and select Disable. If you need cheap windows 7 product key, you can go to goodkeyhome.com to got. My key bought here. It's working great and cost me a little money. How Google search with an image? what is dropbox and why it is needed?